Expressing yourself through custom printed products produces a non-confrontational method of communication. 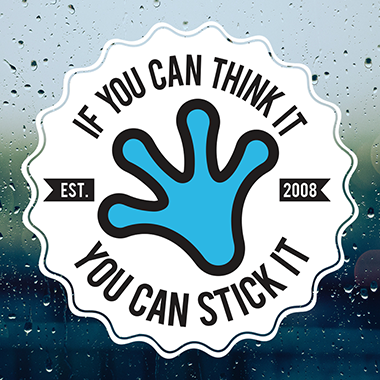 Here at StickyLife we strongly believe in protecting your rights to self expression and freedom of speech. We do however draw the line at hate speech. Our products allow you to create your own designs and share your message with others through peaceful demonstration. Share what is on your mind with custom decals, car magnets and more. When life becomes sticky, express yourself so potential supporters can be there for you. We were founded in 2008 with the primary goal to produce an online design tool for ordering small quantity printed graphics. Upload your own, search through our clip art options or add text from more than 800 different high quality fonts. In the end, if you can think it you can stick it.